NEW BRITAIN — The third annual benefit to raise money for the New Britain High School Marching Band in memory of a young man called “an outstanding human being, sensitive and compassionate” by those who knew him will be held early next month. More than 300 people are expected to attend the Sept. 6 fundraiser in memory of Ben Cheney, a drummer for his four years at the school and a drill sergeant in the marching band in his senior year. 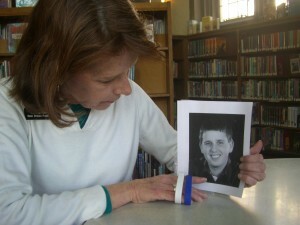 Cheney was 21 when he was killed in a car accident in February 2012. While Kayser came on as director of bands soon after Cheney graduated in 2008, he was Cheney’s music teacher in the 4th and 5th grade. He is starting his sixth year as director of bands at NBHS and worked 13 years prior as a music teacher in several city elementary schools. Cathy Cheney said the first two benefits raised more than $25,000, to go primarily toward restoring instruments and purchasing new ones. Dozens of instruments have been purchased through the benefits, officials said. The benefit will be held from 6:30 to 11 p.m. Sept. 6 at Trinity-on-Main. Tickets are $15 each and are available in advance or at the door. There will also be more than 60 raffle prizes, food and a cash bar. For more information on the tickets and the benefit, contact Cathy Cheney at (860) 558-6353.